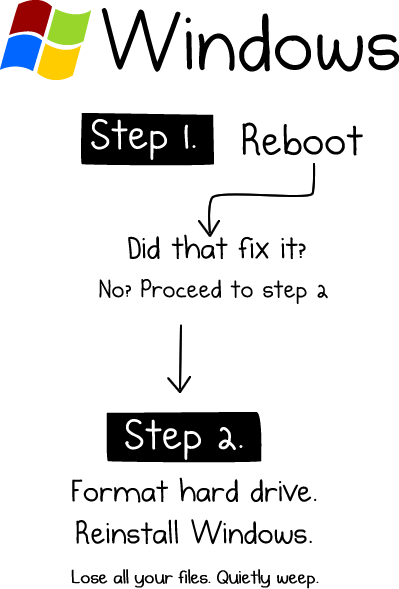 [FUN] How To Fix Any Computer? You are here: Home / Troubleshooting / [FUN] How To Fix Any Computer? Today I came across a funny picture while surfing net . 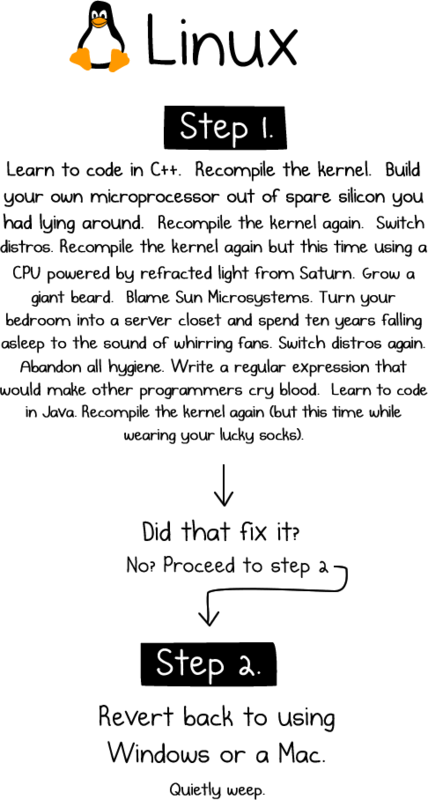 The funny picture is on how to fix any OS (Windows, Apple and Linux) based on the troubleshooting problems experienced by users across the globe. What you think about these steps? 🙂 Which is your favorite operating system? Thought it is interesting and funny,in certain situations it is true. Also try using utilities like System Mechanic Pro, Tune up utilities 🙂 These utilities will surely fix your problem. Thank you for this information. 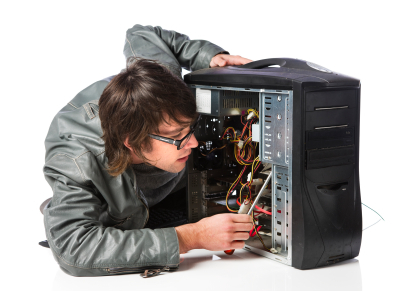 It is very odd as article because having said that indeed how to repair PC. The only problem it is fair that they want to repair the PC and not to lose these files. 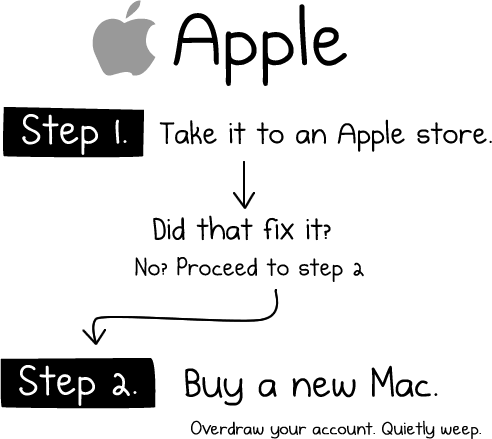 But for spywares, I recommend you Mac. How true is this? 😀 Pretty funny. What computer do you use?